Although they look terrifying, the odds of experiencing a silverfish bite is very uncommon. 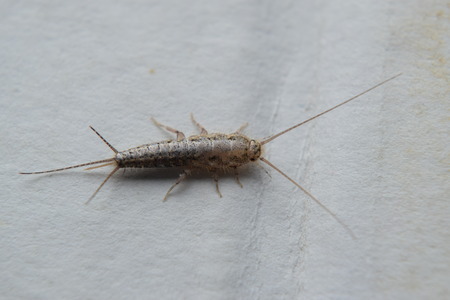 Silverfish are nocturnal insects so chances are you'll never see them roaming around your house, but if you do happen to see one, they'll just slither away to a dark corner or behind your baseboards to escape. This fish-like movement accompanied by their silvery scale like armor is what gives the bugs their unique name. Silverfish are surprisingly fast for their size and they will run and hide at the first sight of a light or human presence. They won't bite and are not poisonous but they can create havoc around your home because they love to feed on items that are high in starch, carbohydrates and adhesives. This means clothing, book bindings, pantry foods, photographs, wallpaper and other paper based products make up a majority of their diet. So, if you see a silverfish on your floor don't worry they're not going to hurt you, but they will creep you out and you'll want to take care of them as soon as possible. Since they're most active at night, you'll notice the damage caused by silverfish before you ever see one. Look for yellow colored stains on your books, small chew holes in the paper or even small black pepper like marks which are droppings left behind by the insects. Although they slightly resemble a centipede they're actually a different type of insect. Silverfish have a torpedo or carrot shaped body with three long thin tails at the end of their abdomen and two long antennae on their head. The mouth of a silverfish is very small and located beneath their body. Their weak jaws are used for chewing, not for piercing your skin so it's virtually impossible for one to bite you....plus they have no desire to feed on fleshy substances. Spiders are the main predators for silverfish. So an infestation of silverfish has another disadvantage, attracting spiders into your home. 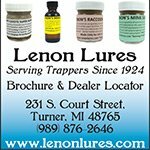 The amount of time it takes for a silverfish to mature really depends on the temperature. Since they like it warm, silverfish found in southern climates mature faster, usually in about 1 year while the ones living in cooler northern climates can take longer. 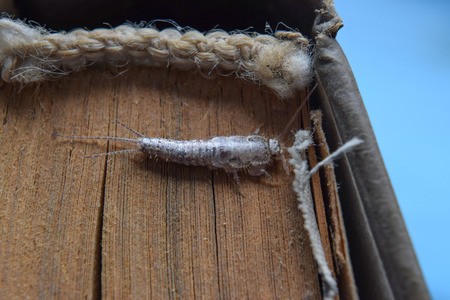 One reason many people believe silverfish bite is because they're occasionally found around your bed. Although it may cause you to loose some rest, they are not lurking around your bed to bite you in your sleep, they're actually feeding on dandruff which of course would be found around your floor and baseboards in your bedroom. Silverfish thrive in dark moist environments. Basements, attics and bathrooms that have a moisture level of around 75 to 90 percent all make the perfect living conditions. To make their habitat a little less desirable, use a dehumidifier in the basement and take steps to increase the air flow within your home. 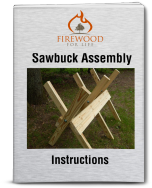 This will help dry things out and lower the humidity levels. Silverfish can be somewhat tricky to get rid of if you let their population get out of control. Since they commonly live for around 3 years or more and can go up to one full year without eating, they're not going away on their own. Plus they have the tendency to nest a live in a small area around their food source, so they don't travel very far making it easy to overlook them until you happen to notice the damage they've caused. Even though you won't need to worry about a silverfish bite, they are definitely a serious problem if they're living inside your home. 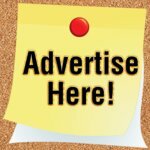 Using boric acid is one of the best ways to eliminate them, although sprinkling boric acid around your house can lead to some safety issues especially if you have pets or small children. 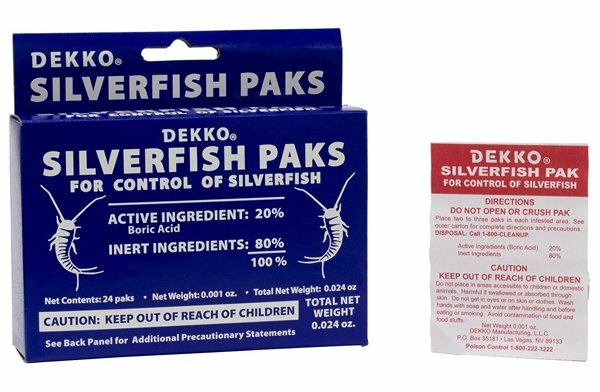 One of the best options for controlling them is to use Dekko Silverfish Packs. They're basically small packets of paper that contain the boric acid safely inside. The silverfish eat the packet and consume boric acid which eventually kills them. You don't have to share your home with silverfish. 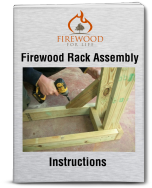 Addressing the issue early will make getting rid of them a lot easier in the long run.